Video above published Jul 13, 2017: Watch highlights from the 2017 RC44 Porto Cervo Cup as Russian Alexander Novoselov and his crew on Katusha took control of the fleet in every condition, from very light to a 25+ knot Mistral, to ultimately win his first ever RC44 Championship event. Events - RC44 Class Association: "A decade since its launch the Tour will take on a new racing format for the 2017 season. Adding the highly competitive match racing day, that previously kicked off each regatta, into the practice racing in favour of four days of high intensity fleet racing. The 2017 season will comprise of five European events. Starting in Sotogrande, Spain (27 – 30 April), the fleet will return to the iconic Sardinian sailing mecca of Porto Cervo, Italy (29 June – 2 July), before moving onto to the Marstrand, Sweden for the 2017 RC44 World Championship (10 – 13 August). The penultimate regatta of the season will be held in the sailor’s favourite stop, Cascais, Portugal (28 September – 1 October), with the fleet returning to Europe's southern shores of Lanzarote for the season final hosted by Calero Marinas, Arrecife (23 – 26 November)." Video above published Aug 16, 2017: 60 Years of Sailmaking - Dive into the rich history of the world's leading sailmaker with this feature on North Sails 3Di Technology. In 2010, the company took a leap of faith in a technology that was not proven. In seven years of development, the product was introduced to market and subsequently customized to the needs of many sailing markets: racing, cruising, grand prix, one design, superyacht and offshore. Nine of the most competitive monohull racers took to the Bay of Palma for the fifth of six week-long regattas that make up the 2017 52 SUPER SERIES season. Here's what happened... Full recap here. Video above published Aug 27, 2017: Take a look at some of the best moments on the water on the second day of racing at Extreme Sailing Series™ Act 6, Cardiff. Cardiff, UK | Extreme Sailing Series, Act 6, August 25-28, 2017: For the sixth consecutive year, the Extreme Sailing Series will return to Cardiff Bay, Europe’s largest waterfront development, over the Bank Holiday weekend. The enclosed bay provides the ideal Stadium Racing venue for spectators to get up-close and personal with the racing from all sides. So far in the first five Acts before the international fleet races in Cardiff Bay for Act 6, Oman Air leads the standings but SAP Extreme Sailing Team is snapping at the heels of Phil Robertson's team. Video above published Aug 7, 2017: Soon after the start of the 2017 Fastnet, speeds of 20+ knots, note the acceleration after the tack at 5 mins. Featuring top rated and canting keel boats, this start has a lot of star attractions including the biggest monohulls in the race such as Rambler. Alongside are the VO 65s, gearing up for this years Volvo Ocean Race. Clipper Round the World Yacht Race video above published Nov 30, 2017: "Race 3: The Dell Latitude Rugged Race was the toughest in the history of the Clipper Race. The race across the Southern Ocean was won by Unicef, though the real winner was the spirit shown across the Clipper Race fleet, as the teams came together to support each other through a series of tough moments. This video is dedicated to our friend, Simon Speirs." Clipper Round the World Yacht Race video above published Oct 28, 2017: Revisit all of the onboard action from a wet and stormy Race 2 as the Clipper Race fleet battled to take first position in the Stormhoek Race to the Cape of Storms. Clipper Round the World Yacht Race video above published Oct 2, 2017: Starting from Liverpool, UK and finishing in Punta del Este, Uruguay, a wrap up of a rollercoaster Race #1, the longest individual Race in Clipper Race history. Experience the remarkable highs and resilience in what has been an ultra-competitive start to the Clipper 2017-18 Race. Clipper 2017-18 Round the World Yacht Race Start from Liverpool, UK, Aug 20, 2017: Footage of the start of the Clipper 2017-18 Race Start from Liverpool, UK. Helicopter footage video of fleet on the way to Liverpool for Clipper 2017-18 Race Start. Video above published Aug 26, 2017: The final day of sailing saw all the fleet head out in a solid breeze on various courses with most coming together south of Lindeman Island – a busy spot to shoot! A great end to the regatta. Video above published Aug 21, 2017: Despite a quieter day on the water today, grace and elegance broke out on the start of the Cruising Class. Sit back and enjoy as the old and the new showed that style is never out of fashion, even on the race course. Video above published Aug 20, 2017: Day 1 of Audi Hamilton Island Race Week saw the fleet blast north to the Molle Islands. The four Reichel Pugh girls - Wild Oats XI, Black Jack 100, Alive & Nano, aka Wild Oats X driven by HRH Crown Prince Frederik of Denmark - which comprise 66% of the IRC fleet caught our eye flying north at speeds up to 25 knots and giving our chase boat driver a real challenge to stay in touch. Video above published Aug 3, 2017: The Volvo Ocean Race fleet went head to head for the first time on Wednesday 2 August in the Leg Zero Around the Island Race – a 50nm spring around the Isle of Wight. WIth 40+ knot gusts and huge waves, it was more like the Southern Ocean than the Solent – and the resulting footage is epic! Video above published Aug 17, 2017: Leg Zero: four stages to test the 2017-18 fleet, and pre-race qualifying series for the boats and sailors. Here's a look at how it happened. Video above published Aug 12, 2017: In France, the Volvo Ocean Race stars took a day out of Leg Zero racing to meet the locals – and take them for an unforgettable spin on the Volvo Ocean 65s! See also: Adaptive Sailing – United States Sailing Association: "Welcome to US Sailing’s home for adaptive sailing. 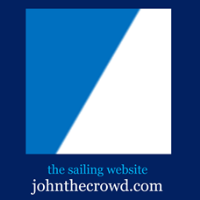 This site provides resources for sailing programs as well as opportunities and connections for sailors with disabilities. There are many advantages of establishing an adaptive sailing program at your sailing organization. US Sailing has the resources to assist you in the process of learning more about adaptive facilities, proper equipment, adaptive designs, staff training tips, recruitment, resources and funding. If you have questions regarding program development ...."
Video above published Jun 5, 2017: 52 Super Series umpire and international racing judge Tom Rinda and coach and pro-racer Ed Baird gives us the lowdown on the updated racing rules. The duo also uses drone footage to illustrate commonly encountered situations on the racecourse and how to handle them. Video above published Aug 13, 2017: Team Nika have won the RC44 Marstrand World Championship after a dominant performance across the four days of competition. The final day delivered the strongest wind of the week, with the north-westerly breeze blowing at 15 knots and with a big, lumpy seaway. Vladimir Prosikhin may not have won any races today but he steered Nika to a comfortable victory overall, earning back the trophy he last raised in 2015. The RC44 Marstrand World Championship is the third event of the 2017 RC44 Championship Tour, which pits the world's top businessmen and the best sailors in the industry compete in high-performance one-design 44-foot carbon racing yachts. Video above published Aug 13, 2017: A few boats had a good go at the front of the fleet on day three of the RC44 Marstrand World Championship, but none could match the consistency of Team Nika. Vladimir Prosikhin took the winner's gun in the first race of the day, sailed in 10 knots and lumpy seas. When the rain fell, it made little difference to his fortunes, following up with a second and fourth place.​ The Russian team has impressively taken a race win every day of the World Championship so far, putting them 15 points ahead. Nika's closest rivals struggled, opening up a big points gap to second place, now held by Bronenosec with Ceeref on equal points. Aug 11, 2017: Bronenosec Sailing showed some serious interest in the title after putting in some good scores on day two of the RC44 Marstrand World Championship. Vladimir Liubomirov steered the blue boat to victory in the first race of the day, sailed in about 8 to 10 knots of westerly wind. A sixth in the next race was not so special but Bronenosec surged into the lead of the third race of the day, only to let it slip to Artemis Racing on the final run to the finish. Video above published Aug 10, 2017: Vladimir Prosikhin has steered Team Nika into the lead of the RC44 Marstrand World Championship after a solid opening day in Sweden. The Russian crew notched up scores of 2,6,1 in the nine-boat fleet to hold a two-point advantage over defending World Champion, Team Ceeref from Slovenia. Video above published Aug 11, 2017: A memorable 47th edition of the Rolex Fastnet Race concludes with Didier Gaudoux’s Lann Ael 2 confirmed as the overall race winner on IRC handicap. Victory is the crowning achievement of Gaudoux’s sailing career and recognition for an epic Rolex Fastnet performance, uniting teamwork, shrewd tactical decision-making and flawless preparation for the race. Lann Ael 2 becomes the third French yacht in as many editions of the race to claim outright victory. The 39-ft yacht prevailed from a record fleet of 362 yachts from 29 countries to claim the coveted Fastnet Challenge Cup and Rolex timepiece awarded to the overall race winner. Video above published Aug 11, 2017: Stunning images from the Rolex Fastnet Race that capture both the power of the wind and those rare moments of great beauty out at sea. Video above published Aug 9, 2017: Perseverance pays for George David as his American Maxi, Rambler 88, claims monohull line honours at the 2017 Rolex Fastnet Race. After coming close both in 2007 and 2015 and suffering a dramatic capsize in 2011, success in 2017 is the fulfilment of a decade-long ambition. Leading the monohull fleet from the start of the 605-nm race from Cowes, Rambler 88 arrived nearly five hours ahead of her closest rivals, CQS and Nikata. The focus now turns to the progress being made across the Celtic Sea by the remainder of the fleet in their quest to claim overall victory on IRC handicap. Video above published Aug 8, 2017: Plymouth has welcomed its first 2017 Rolex Fastnet Race arrival. Concise 10, a MOD70 owned by Tony Lawson and skippered by Ned Collier Wakefield, claimed multihull line honours in the early hours of Tuesday morning completing the 47th edition of the race in 42 hours, 55 minutes. The time is a little over ten hours outside the current record. Monohull line honours is being contest by three Maxis – the 115-ft Nikata, Ludde Ingvall’s 100-ft CQS and George David’s Rambler 88. The latter currently holds a significant advantage and is making good progress back across the Celtic Sea. The majority of the 362-strong fleet are currently sailing in the opposite direction and on the approach to the race’s emblematic landmark, the Fastnet Rock on the southern tip of Ireland. Aug 8, 2017, video above. In front of the Royal Yacht Squadron’s magnificent clubhouse in Cowes, a record-breaking fleet of 368 yachts embark on the 47th edition of the Rolex Fastnet Race. Lying ahead is the famous 605-nm race to Plymouth via the Fastnet Rock on the southern tip of Ireland. The 2017 Rolex Fastnet Race fleet is truly diverse, a quality clearly evident to all of those watching on the shore in Cowes or the thousands following the live start of the race on the internet. The first of seven start sequences was reserved for the fastest multihulls, the final saw the leading monohulls comprising the contrasting designs of Nikata, CQS and Rambler begin their quest for line honours. Aug 6, 2017: The start of the 47th edition of the Rolex Fastnet Race from the Royal Yacht Squadron Line, Cowes, Isle of Wight. Video above published Jul 3, 2017: The biennial Rolex Fastnet Race has been an established fixture on the ocean racing circuit since 1925. The 605-nautical mile race is a test of strategy and skill with challenging tidal currents and changeable weather. 2017 marks the 47th edition of this international classic organized by the Royal Ocean Racing Club. The race starts on Sunday 6 August from the Royal Yacht Squadron line, off Cowes on the Isle of Wight. The fleet races westward out of the Solent, down the English Channel and into the open water of the Celtic Sea heading towards the Fastnet Rock off the southern tip of Ireland. Once there the yachts head back on a reciprocal course to the finish off Plymouth. The Royal Ocean Racing Club​ Rolex Fastnet Race starts on Sunday 6 August 2017: The start begins at 1100 (BST) for the 47th edition. Multihulls will start first, followed by IMOCA 60s and Class 40s. Video above published Aug 4, 2017. With the Winter Palace to the south and Vasilievsky Island to the west the racing will take place in the heart of St. Petersburg at the foot of the historic walls to the Peter-and-Paul Fortress. Sailing so close to the shore will guarantee spectators a grandstand view over the full racecourse from all angles with an unparalleled setting within the city centre. LIVE Twitter feed below.